Vagankovo terminus was built in October 2000. The line along Sergey Makeev Street, Zvenigorodskoye Shosse, Trekhgorniy Val and Schmidtovskiy Proyezd was to be closed being the first part of Route 23 to be sacrificed for highway construction. 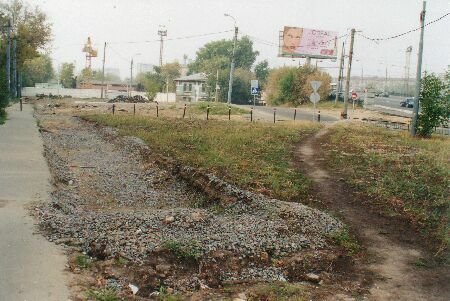 This terminus (a simple single-track loop but with an interesting layout caused by a junction to a short single-track connecting line to Krasnopresnenskoye Depot) existed for 19 months, and on May 25, 2002, the last tram run here. 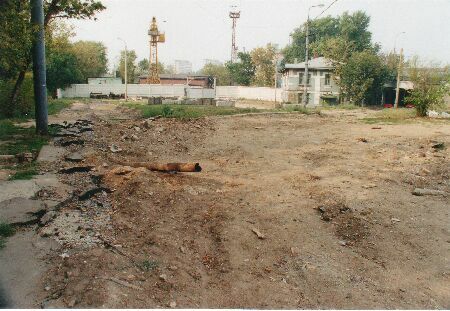 Tracks were lifted in a hurry in June 2002, and now the site remains empty and abandoned. These photos were taken by Alexander Zabreiko on August 25, 2002, exactly three months after closure. The loop exists no more but its traces are still there. The former loop as seen from its 'neck' where turnouts were located. A tram stop was right at the overhead wire support pole in the left. The place looks deserted without tracks. The reversing loop branched to the left, while the straight single track line stretched towards the overpass dimly seen in the right. Note the still existing overhead support pole. 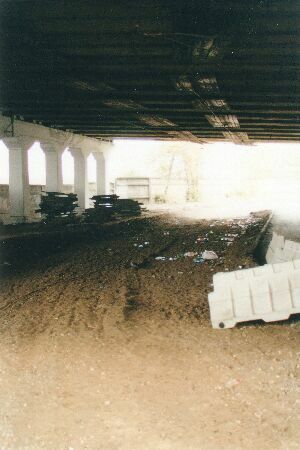 The single-track diverted into normal two-track line just before entering under the overpass. Tracks have also been lifted here, but - a very strange case - overhead wires are still in place with wooden protective shields above them. The line continued to Krasnopresnenskoye Depot. 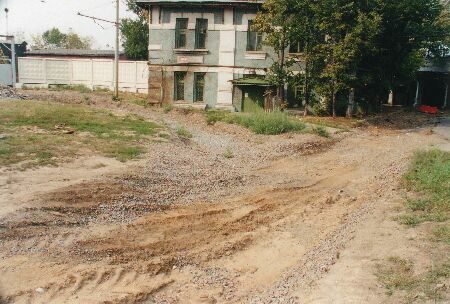 Here a short stub track was - all that remained of the once existed line towards Schmidtovskiy Proyezd. Now it is gone, too. 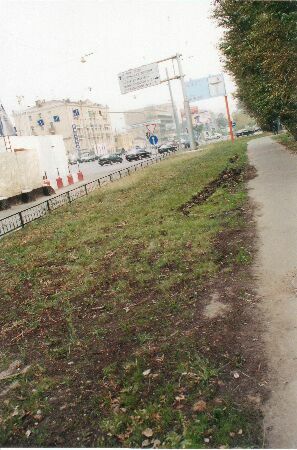 Grass covers the place where rails were until November 2000, and only some pieces of former overhead support still can be found (unfortunately, not seen on this photo).